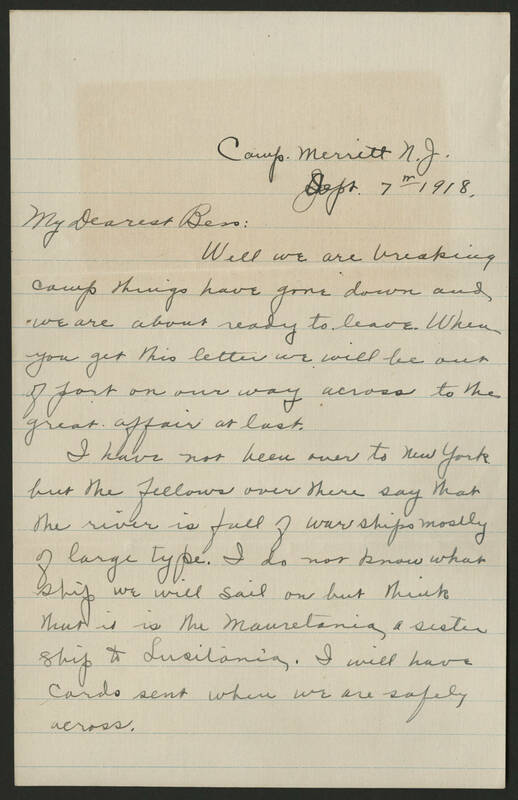 Camp Merritt N.J. Sept 7th 1918 My Dearest Bess: Well we are breaking camp things have gone down and we are about ready ready to leave. When you get this letter we will be out of port on to the great affair at last. I have not been over to New York but the fellows over there say that the river is full of warships mostly of large type. I do not know what ship we will sail on but think that it is the Mauretania a sister ship to the Lusitania. I will have cards sent when we are safely across.